Frank Lampard says RB Leipzig's interest in Derby's Mason Mount is "his call" but backs the player to shine for Chelsea and England in the future. 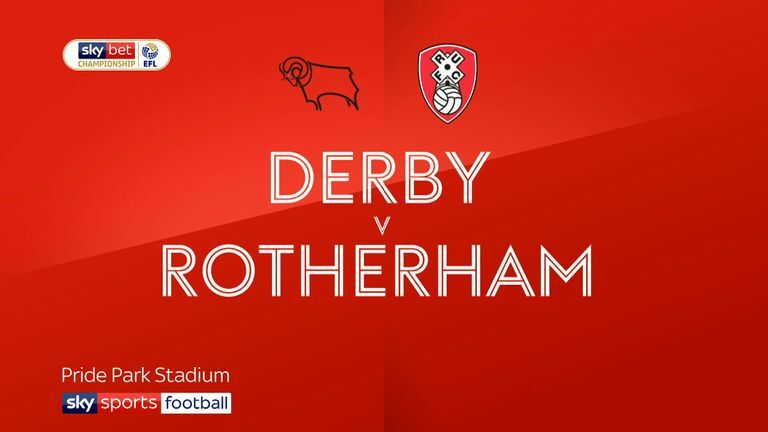 Mount returned from injury on Saturday, helping Derby to a 6-1 win over Rotherham with a goal and assist as the club battle for a spot in the Sky Bet Championship play-offs and a shot at Premier League promotion. The 20-year-old midfielder, on loan from Chelsea, has five goals and four assists in 27 Championship games for Derby this season and has now attracted interest from Leipzig, who are currently third in the Bundesliga. Asked if Mount should follow in the footsteps of Jadon Sancho at Borussia Dortmund and consider a move to Leipzig, Lampard said: "That's his call. "I think he can be a top player. I know that's a broad statement, he's already been in an England squad but I believe he'll go back to Chelsea and be a big player for Chelsea. I know that's his dream. Derby return to Championship action when they travel to Brentford on Saturday and Lampard hopes that Mount's return can inspire the rest of his squad. "It was hugely important (to have him back)," Lampard added. "There's no doubt teams miss their top players because of what they give and he also rubs off on others. "It was his first game back (from injury) so I think he'll get even better. His energy, quality and brightness - finding balls between the lines and playing the ball forward quickly certainly sets the tone for us. "I think other players up there game around him for that."